Roma banks on Saturday’s Serie A 2016/17 edition’s curtain raiser with second oldest Italian football club, Udinese to redeem its home win profile. Roma has won five of its last six matches and lost one while Udinese has lost four won and both recorded one drew each. 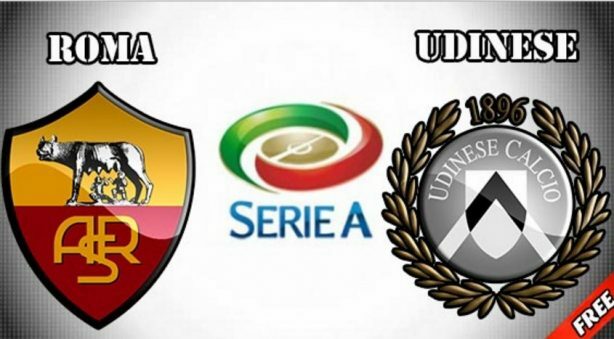 Out of 34 matches each of the two teams have played Udinese beats Roma with 16 wins eight draws and 10 losses. Roma emerges second with a total of 13wins, 10 draws and 11 losses. In home matches, Udinese has won 11 matches against 9 for Roma, has the same draw at 5 matches. However, Roma lost more at home than Udinese having lost 3 matches to one for its rival. In Away Matches Udinese won more than its rival at 5 matches while Roma won 4. In terms of losses away Udinese lost nine matches against 8 for Roma. For their 64th season in a row (83rd overall), Roma are competing in Serie A for the 2015–16 season, having won Serie A three times, first in 1941–42 then in 1982–83 and again in 2000–01. It will be exciting to watch the struggle by Roma to open the matches on a high and Udinese push to beat its arch rival.